What to Worry About When Moderating, And What Not to Worry About! Article # 4 of our Declaration of Modern Learner Rights is a key one for keeping engagement high in an online learning experience. And it’s up to both learners and course owners to contribute to a dynamic experience. 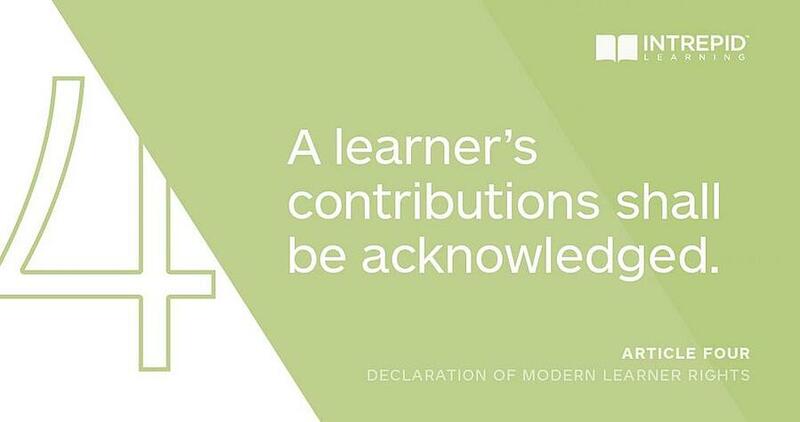 “A Learners Contributions Shall Be Acknowledged” ensures that no learner is left feeling as if they are wandering a great void, wondering when—or even whether—another person will ever stumble upon their contributions (be they learner, moderator, facilitator or curator), and therefore have made making them worth the effort. Worry about making sure your learners know who the moderators are, what their role is, and how to get in touch, right from the beginning—in your pre-course communications and easily findable somewhere within the course experience. Don’t worry about being a constant 24/7 presence. Be available, and check in, but—just as with micro-content and short-form for learners—moderators can do the work of moderating in 10-15 minute chunks too. 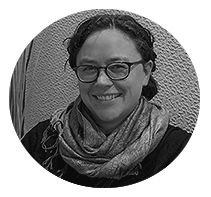 Worry about threading opportunities for discussion and interaction throughout the course content where it makes the most sense for people to deliberate on an issue together, in order to internalize the information as a group. So really, the very first step in moderation is in the course design, long before a moderator might even be selected. Design spaces where learners can respond as a group to create a shared understanding of critical concepts. Don’t worry about responding to every single discussion post. Think of the moderator as a presence whose job is to keep interactions moving forward smoothly, but not someone who has to be super chatty all the time themselves. When they do seed or react to discussions, it should be to make sure the discussion is ruthlessly relevant to the course and the job. Worry about making sure your moderator understands the course materials and content, so they can answer questions (or forward the question to a SME and post the response) and direct learners to key resources when needed. One way to do this after you’ve run the pilot is to recruit course alumni as moderators. They know the course material, and lend some ‘oomph’ to the urgency of the learning for the next round of learners. Worry about listening to your learners! The moderator is in a great position to curate common themes, problems, and tacit knowledge, as well as to report on the “pulse” of the course to course stakeholders. Moderation is also the logical first step of curation, highlighting discussion remarks or assignments that are trending or exemplary to enrich the learning experience. Don’t worry about engagement. Don’t worry about it, that is, if you thread thought-provoking questions through the course. You can also loop in senior people in the organization to participate as moderators. For example, you can have a VP or C-suite member of your organization’s leadership be a “guest moderator” for a week—the opportunity to have comments seen and responded to by senior people increases engagement. After all, one reason learner engagement can be low in online learning is that it can seem to the learner like the organization mostly cares about “ticking the box” on social (ie throwing in a discussion forum so the claim of social learning is valid without really making the effort to keep the social aspects dynamic and relevant to business imperatives). So if senior folks are in the learning experience, the learners get a very strong message: ‘This is worth the company’s time.’ And that acknowledges the learner right from the start.